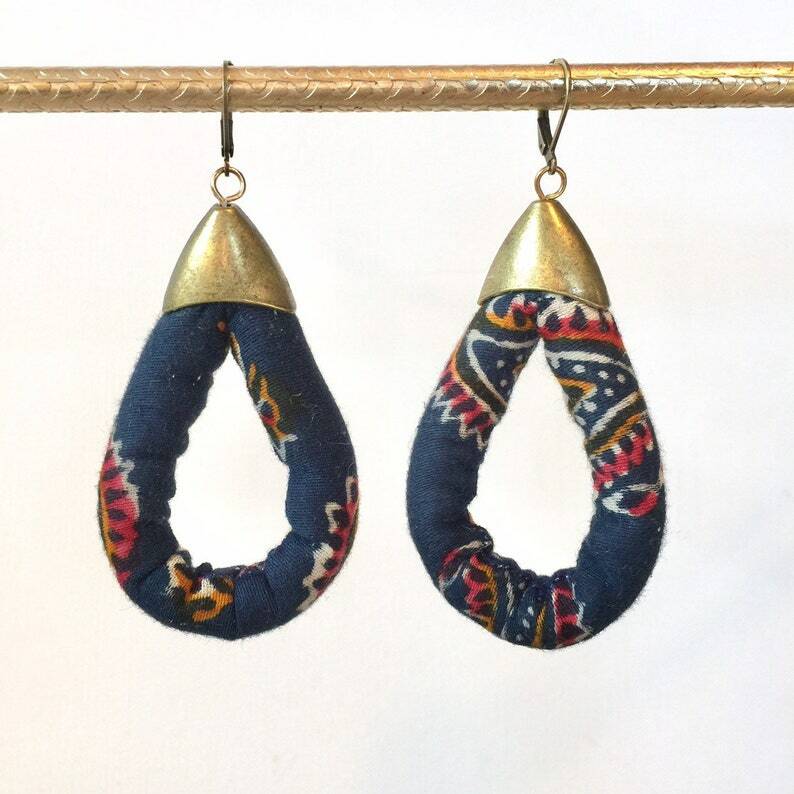 A beautiful pair of long length statement earrings, these are made with thick 1/2 inch hand-sewn Indian batik fabric cord. The colors are navy blue, with beige, maroon and orange designs that resemble mendhi. These earrings are very lightweight and are 3” long by 1.5” wide. The metal accents are antiqued brass, finished with hypoallergenic brass leverback ear wires.